Apra Harbor is a deep water port on the western side of the US territory of Guam. 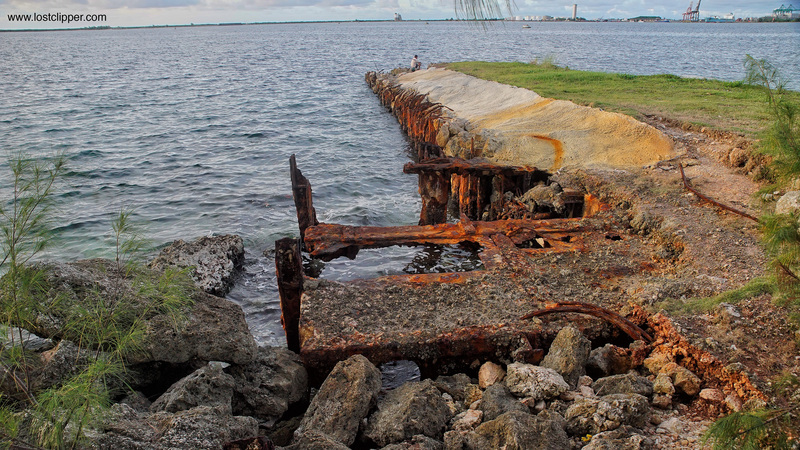 The southern end of the harbor is the location of Naval Base Guam and the site of where the massive China Clipper flying boats touched down and delivered their passengers and cargo. Today most of Apra Harbor is controlled by the U.S. Navy, but some ports remain public such as Sasa Bay, the Piti Channel and parts of Glass Breakwater. 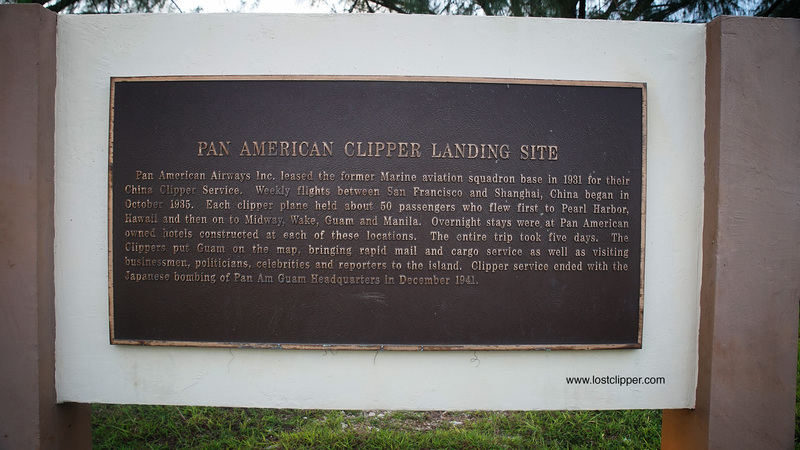 In this area is where we found the remains of the facilities that once took care of the Pan Am Clippers. 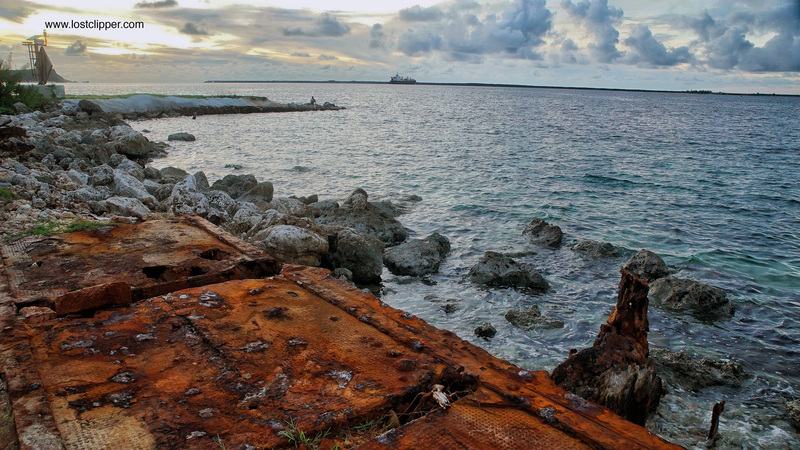 A placard now stands in the ruins of the dock to which the Hawaii Clipper passengers and crew most possibly boarded the fateful leg between Guam and the Philippines. 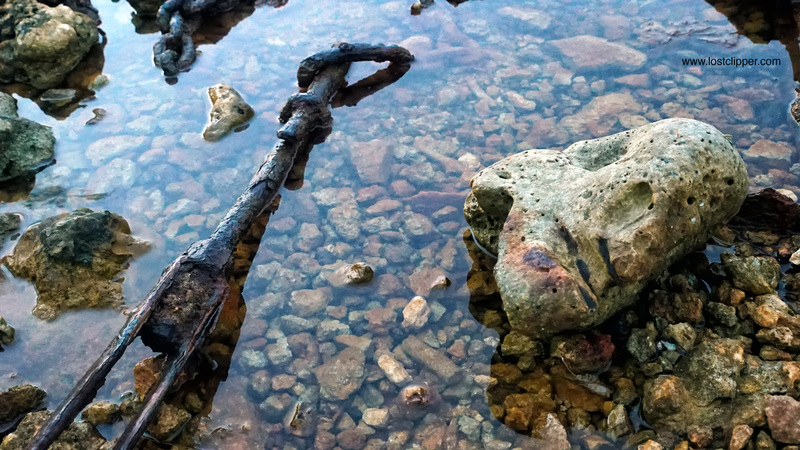 The harbor is home to a couple shipwrecks that are popular with scuba divers with the most well known wreck being a World War I-era German merchant ship, SMS Cormoran, and the World War II-era Japanese freighter, Tokai Maru which lie side by side on the ocean floor. I wish more of the Pan Am facilities remained but was first attacked by the Japanese Navy in 1941 and then completely destroyed by the US Navy when retaking the island. Next Post Real Hendo Hoverboard? No clipper, no harbor, no nuthin’. where’s the Clipper? ?